Born in Lithuania, she began playing the piano at the early age of 5. She continued her studies through school and onto the Conservatory where she obtained her bachelor degree in Music & Music Pedagogy. She then moved to the UK and worked at a college teaching years 7 to 11 as well as running the choir. During this time, she started teaching privately and in 2008 moved to Australia. With all her years of teaching experience, Laima is able to encourage and educate all levels and abilities. Her students consistently score high marks on the AMEB exams, but she also has several students that learn just for fun. With over 10 years experience teaching both classical and electric styles, Daniel has established a reputation as one of the top guitar teachers in the area. He has been studying music since he was 7 years old and performing since the age of 11. He graduated with a Bachelor of Classical Music from the Western Australia Academy of Performing Arts (WAAPA) and recently was in the top 16 in the Adelaide Guitar Festival International Classical Guitar Competition. He currently composes and performs with many reputable projects throughout WA. A coloratura soprano who has recently completed a Graduate Diploma in Classical Voice at The Western Australian Academy of Performing Arts (WAAPA). Priscilla also possesses a Bachelor of Music in Classical Voice and a Certificate II in Music Theatre (both from WAAPA), and has attended the Lisa Gasteen National Opera School, and the WAAPA International Artsong Academy. During her time at WAAPA, Priscilla has had the pleasure to be involved in many productions including playing Amy in the opera Little Women, Tytania in A Midsummer Night’s Dream, and the diva Melba, in the world premiere of the operatic drama Melba. Priscilla has also appeared in many productions around Perth and has appeared as a soloist for Trinity Uniting Church and as a member of the chorale Vux et Veritas. Currently Priscilla is completing a Master of Arts in Performing Arts, in which she is investigating the history of opera in Western Australia. Her introduction to music started at the age of five and by the time she left high school she had added over ten more instruments to her arsenal. One of three recipients of the Tasmanian State School instrumental scholarship for flute, Jeni was also selected as the only bass clarinet player to tour Europe with the Australian Youth Wind Orchestra. The same year, she was invited to play with the University of Tasmania’s Wind Orchestra (the highest level band in northern Tasmania). She then moved to Western Australia to train at the West Australian Academy of Performing Arts. She has performed as part of many community bands and musical theatre pit orchestras as well as various small instrumental groups. Jeni is currently a reservist woodwind specialist (clarinet, flute, alto sax, piccolo, snare drum) with the Royal Australian Navy Band WA (RAN Band WA) and has been tutoring woodwind, brass and theory to West Australian students of all ages and abilities for the past seven years. An operatic mezzo-soprano who performs frequently with many Western Australian ensembles (including: OperaBox Inc., Gilbert & Sullivan Society of WA, UWA Choral Society, Perth Undergraduate Choral Society, Metropolitan Symphony Orchestra, Fremantle Symphony Orchestra, Albany Choral Society). 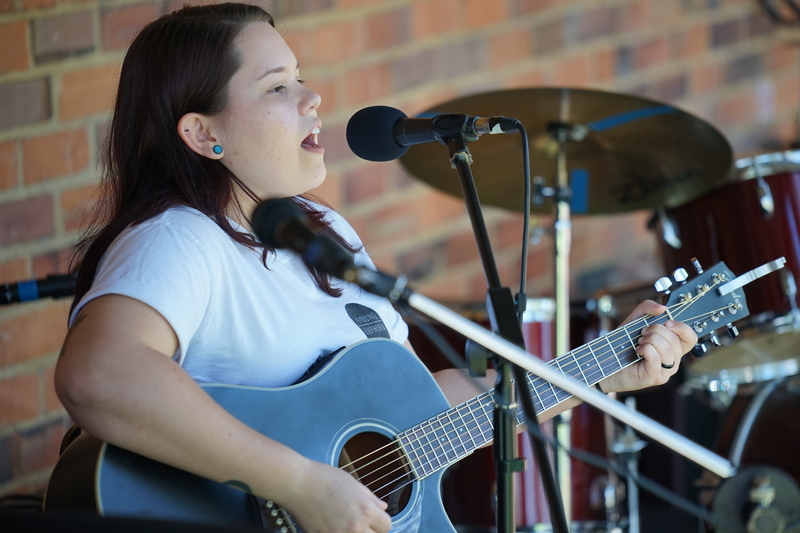 She has a Bachelor of Musical Arts, Bachelor of Music (first class honours) and a PhD from UWA. Eva-Marie has over 8 years experience teaching voice, harmony, aural training and music history, as well as choral conducting, all the way from Primary School to University level. Her music journey began with the recorder from a young age which led to the flute. After playing for a few years, she added violin which soon became her main instrument. Hannah was a part of a marching pipeband for some years as a tenor drummer. She has played flute in different concert bands and the violin in many orchestras. At the age of 13, Hannah was encouraged to learn the double bass and move from the violin section in her school orchestra to the double bass. She has continued to add instruments throughout the years including the cello. Hannah began teaching in 2013 and loves to see the joy that music can bring to people's lives. Andrew has been passionate about drums since he began playing at age 10. He graduated high school at John Curtin College of the Arts where he studied Contemporary Music before being accepted at WAAPA for the Bachelor of Music. He loves to help others develop their musical vocabulary while giving them as broad of an understanding of the instrument as possible. He is able to offer honest and reliable advice on playing the drums that allows students to develop their skills and feel a sense of progress with their ability. He places a strong emphasis on technique as well as the physiology and psychology of playing. 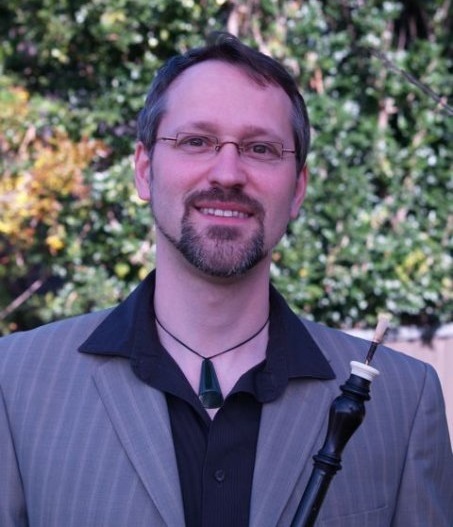 Specializing in oboe and bassoon, Georg has been teaching recorder, woodwinds, piano and harpsichord for over twenty years. He understands the importance in actively engage students in their own learning and teaching and believes in providing students with the broadest possible knowledge and information while also encouraging and supporting the curiosity of every student. After a strong teaching and performing career of more than 30 years of practical research as an industry professional, and after successful doctoral studies at UWA that drew together an extensive body of work, Georg aims to further his impact as a teacher through the education of future generations of musicians and music lovers. Cassie has always been very interested in playing music, and has been studying various instruments for more than half of her life. She is confident in Theory and technique, and regularly performs at local events. She has been sharing her knowledge with students at RMA for the last few years. Cassie loves using music as a way to connect with others and to bring hope to anyone who might need it.